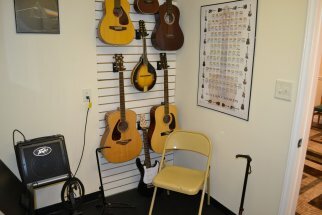 Play music in one of our four lesson rooms. We can accommodate multiple students at one time which gives us great flexibility with meeting the demands of your schedule. 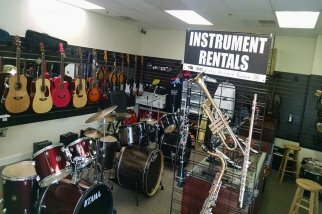 Each space is designed to accommodate a variety of musical instruments. 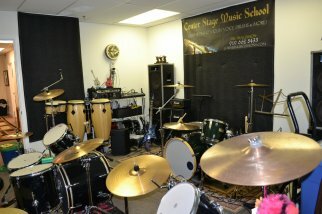 Be confident in knowing that you are in a professional music studio where we are serious about quality and integrity. 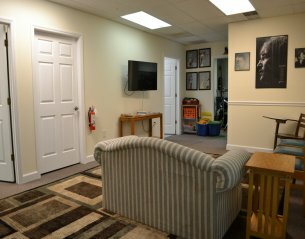 We want you to feel welcome and know that we are in the business of making our student's grow, of course while having fun! 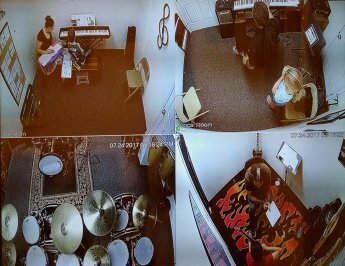 Watch your child's music lesson on our video monitoring system from the comfort of our lobby or log into our mobile app and view from anywhere. 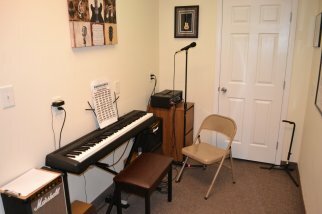 Each of our studios are well equipped, well lit, and comfortable. Drumming is no longer too loud. Remo's Silent Stroke drum heads allow us to keep sound levels low and side by side drum kits allow for easy interaction between student and teacher.